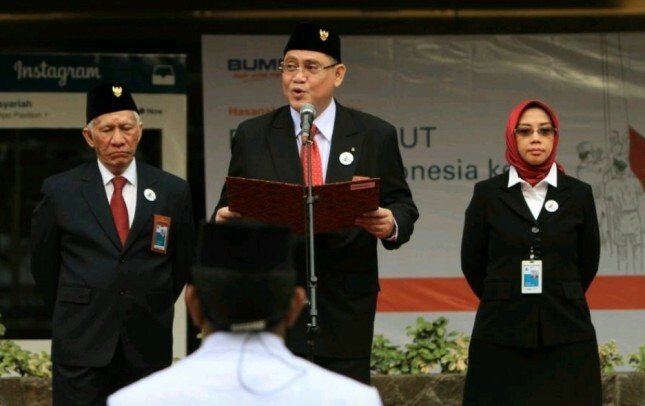 INDUSTRY.co.id - Jakarta, The capital injection of Rp 1 trillion from the parent company makes BNI Syariah optimistic to achieve the target of entering the business group of BUKU III bank in 2019-2020. The potential of sharia market stretching convinces PT Bank Negara Indonesia (Persero) Tbk to continue expanding its sharia financing business through its subsidiary PT Bank Negara Indonesia Syariah (BNI Syariah). Related to that, BNI decided to expand the financing capacity of BNI Syariah by injection of capital amounting to Rp 1 trillion which began effective last month. The additional capital, said BNI Syariah President Director, Abdullah Firman Wibowo, in a chance, has caught the ratio of capital adequacy ratio (CAR) of BNI Syariah from the level of 14.9 percent in September 2017 to 20 percent. Before the entry of additional capital, Firman said that the company's core capital was recorded at Rp 2.756 trillion. Now with the inclusion of additional equity BNI Syariah, according to him can be more expansive channeling financing and investment. We will allocate additional capital for financing the most in the commercial sector. The details, the commercial sector will get Rp500 billion and consumer and SMEs Rp200 billion and the rest of the development of digital banking and IT Rp300 billion, he told the editor Industry.co.id. But most important of course makes it more optimistic to realize the ambition of entering BNI Syariah as a bank with business category BOOK III with a minimum core capital of Rp 5 trillion in 2019 or no later than 2020. Not only had the expansion of financing, bank category BUKU III, he said, opened the opportunity for BNI Syariah to expand its business abroad, following in the footsteps of its parent company. Meanwhile, related to the performance development, BNI Syariah's management is confident that the growth target of 12.68 percent (year on year) this year will be achieved. Until the end of October 2017, BNI Syariah has disbursed financing of Rp 22.66 trillion. For the record, at the end of 2016, total BNI Syariah financing was recorded at Rp 20.5 trillion, meaning that by the end of 2017 it will reach Rp 23.1 trillion. As in 2018, BNI Syariah pegged the growth of financing by 18% with the largest portion of productive financing. The financing segment is believed to grow to 24 percent, while consumptive financing is expected to grow 14 percent. The target set refers to a number of potential sectors targeted including construction, social services (education and health) and trade. Although expansive BNI Syariah will maintain the quality of financing or non-performing financing (NPF) because the economic condition is not expected to be too conducive. Therefore, BNI Syariah mentioned will avoid high risk sector sectors such as mining. That way the NPF ratio will be maintained below 3.25 percent by 2018. Based on the performance report as of September 2017, the bank's NPF position is at the level of 3.29 percent.